‘Mapology’ Aftermath – A New Apple? Something has changed. Something feels different. After the huge Maps debacle following the release of iOS 6, Apple’s CEO Tim Cook has issued a public apology. Now, this is not the first time an Apple CEO has apologized. Steve Jobs wrote a public apology after the steep price cut on the first iPhone just months after its release. But something is different this time. Apple hasn’t stopped there. In the apology, Tim Cook has also pointed users to use other map/navigation services till the Maps app gets fixed. This is the crazy part! A company that is known for perfection in almost every piece of software/hardware apologizing is one thing; pointing customers to use rival products is a completely different story however! Mapping services employ crowd-sourcing – the more users use it and contribute to it/correct it, the better it gets. That’s the reason Google maps is so awesome (and also why it really sucked when it was launched in 2004). Asking customers to use a different mapping service will reduce the number of people using Apple’s Maps which means it will be very difficult for the service to improve! Of course, out of the 100 million plus iOS 6 users, the number of people who won’t bother with switching to better services is likely to be quite large. But ultimately the users who really depend upon the Maps application are the ones who will contribute the most towards making it a better service. That apart, it feels great to see Apple not acting arrogant on this issue. They made a mistake, they acknowledged it. It’s how they did it that has me confused. Interesting things have been happening with the Apple Vs Samsung verdict going in favor of Apple and the announcement of the new iPhone 5. Now, in spite of being the geek I am, these things are really interesting because I’m feeling a little apprehensive about the future of mobile and smartphones in particular and not because of the characteristic ‘nerdvana’ that follows every iPhone’s announcement. 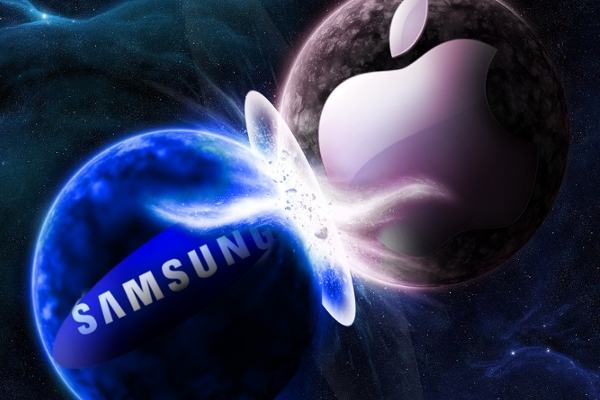 First, the Apple Vs Samsung case. I have been following the case quite regularly and on most counts it seems Apple has provided some damning evidence against Samsung in terms of documents referring to Samsung executives asking their engineers to refer to the iPhone for cues on improving the UI of their Galaxy series smartphones (the big red ‘End Call’ button being an example). While those are the kind of things that might be relatively straightforward to understand, some aspects of the trial were really strange. Consumers got confused between the iPhone and the Galaxy Series and bought a Samsung phone as a result of the ‘confusion’. The only reason why Samsung succeeded with it’s Galaxy line of phones was because it copied the iPhone. I’m sure I’m not the only one who’s not sure about the merits of these arguments. Samsung retaliated by presenting smartphones predating the iPhone which had similar form factors. Apparently that wasn’t enough to convince the jury. Now this is the part that scares me the most – the fact that Apple calls a rectangular smartphone with rounded corners it’s ‘trade dress’ (a term often used in the trial). It’s like a toilet manufacturing company saying they’re patenting rounded toilet seats enabling them to sue any other company doing the same! And Samsung’s argument was pretty much on the same lines when they said that a rectangular smartphone with a touch-screen was a part of the technological advancement for the entire industry and not an innovation to be patented. This trial reminded me of a ridiculous patent request which, for obvious reasons, got denied. The applicant had tried to patent the mechanism of pointing a cursor on a computer screen – the mouse and the trackpad! Wow, if that patent was granted someone would have surely applied for a patent for ‘staircases’! Patent wars have always been hindering advancement but looking at this trial’s verdict it seems that things are getting ridiculously out of proportion. I can’t imagine the fact that from this point on (if not already), all the design and engineering meetings will have lawyers present! If a rectangular smartphone with rounded corners is something that can lead to such a big lawsuit then I cannot imagine to what levels this kind of patent trolling is going to stoop.